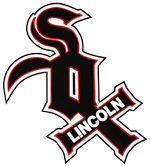 The mission of the Lincoln Sox Baseball organization is to provide competitive opportunities for youth baseball players in Lincoln and surrounding communities; to instill proper fundamentals and sound mechanics that prepare young players for high school and college levels of play. Our goal as an organization is to teach sportsmanship, self-discipline, and teamwork. Coaches within the Sox Baseball program further develop each player's skills and abilities and in doing so, build the player's character on and off the field hoping these become lifelong traits for each player.